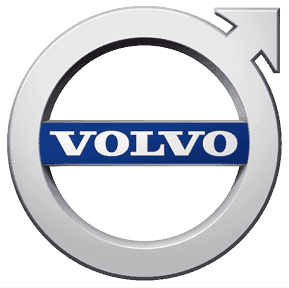 Volvo is one of the most advanced and admired premium car manufacturers in the world. Since 1927 the Swedish manufacturer has produced safe, high quality, low emission cars that make everyday life stress-free. Built to withstand tough conditions, they are ideal cars for driving on the roads of the UAE. Trading Enterprises is the official dealer of Volvo passenger cars which gives us unique access to the full range of new models. As the sole Volvo supplier in the Emirates we really are the only place where you can experience the individuality of the Volvo range. Built to last through the excellent quality of the parts and accessories, Volvo cars will support you across a variety of driving scenarios and conditions. With functional family cars as well as larger vehicles that are perfect for fleet use, the Volvo range is well equipped to meet the needs of all owners. Fitted with some of the most advanced safety and state-of-the art infotainment technology features, you will be secure and at ease in any Volvo car. In the current range there is the classic V70 estate model that offers excellent trunk space as well as a large cabin. The compact V40 is more suited to those who want economic city driving, while the XC90 provides comfort for 7 passengers. When you buy a Volvo car from Trading Enterprises you also guarantee yourself complete aftersales support for the entire ownership period. This is made possible by our specialist service center which is staffed by Volvo-trained technicians working with the latest diagnostic equipment. With exclusive finance offers and business contracts available from our sites you can have fantastic value for money when you buy a Volvo from us. For more information about specific cars in the range you can follow the links on this page. Contact us today if you have any questions or would like to speak to one of our experts.